With Thanksgiving all under our belt and as we head into December, I'm ready for a food detox - anyone else?! I recently had a craving for Chipotle since I haven't had a burrito bowl in quite some time. So with that as an inspiration, I looked at some of the recipes I had for a burrito filling. I found one which I tweaked quite a bit to make a chicken filling that was perfect on top of rice and our favorite accompaniments. You could use this chicken filling for a variety of Tex-Mex dishes including burritos, quesadillas, tacos, taquitos, enchiladas, lasagnas, paninis, etc. 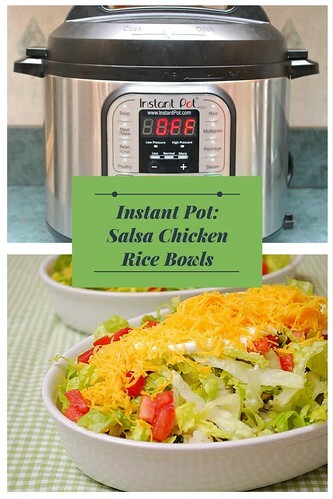 But more than anything, I love how I just put the ingredients in the Instant Pot, set it and let it cook away. The chicken came out so tender, flavorful and because it makes quite a bit, it even freezes well! Place all the chicken ingredients into the IP. Press POULTRY and adjust the time to add 5 minutes. Once at pressure, the display will reflect (the number of minutes you initially set) and will begin to countdown to 0 minutes. When the IP beeps after pressure cooking, turn the setting on top of your IP to VENTING. Doing so allows the IP to quickly release any remaining pressure (also known as QPR or QR). I use a wooden spoon to carefully turn the setting to avoid close contact with the potential steam. You may also want to turn your IP away from cabinets to allow the released steam to escape freely. The pin at the top of your IP will drop when all pressure has been released and it's safe to open. With a fork, start pulling the chicken meat apart into thin strings inside the IP. Keep pulled chicken meat and sauce, covered in the IP on the keep warm setting (which it defaults to after opening). 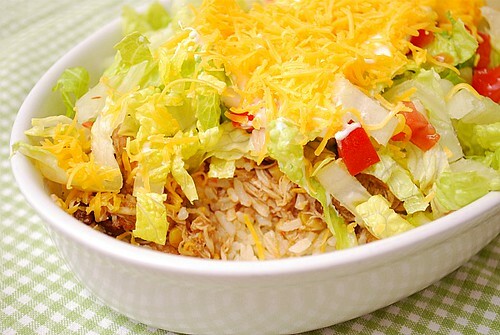 To assemble the rice bowls, place some rice on the bottom of an individual serving bowl. 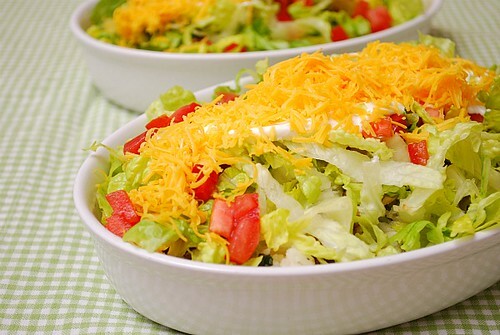 Top with some chicken and garnish with your preferred toppings (lettuce, tomatoes, sour cream, etc).